The LAGUNA BEACH Necklace is handcrafted on a US barrier island with Swarovski crystal, one-of-a-kind shell, pearl and beading. Each one is designed to be one-of-a-kind, just like you. 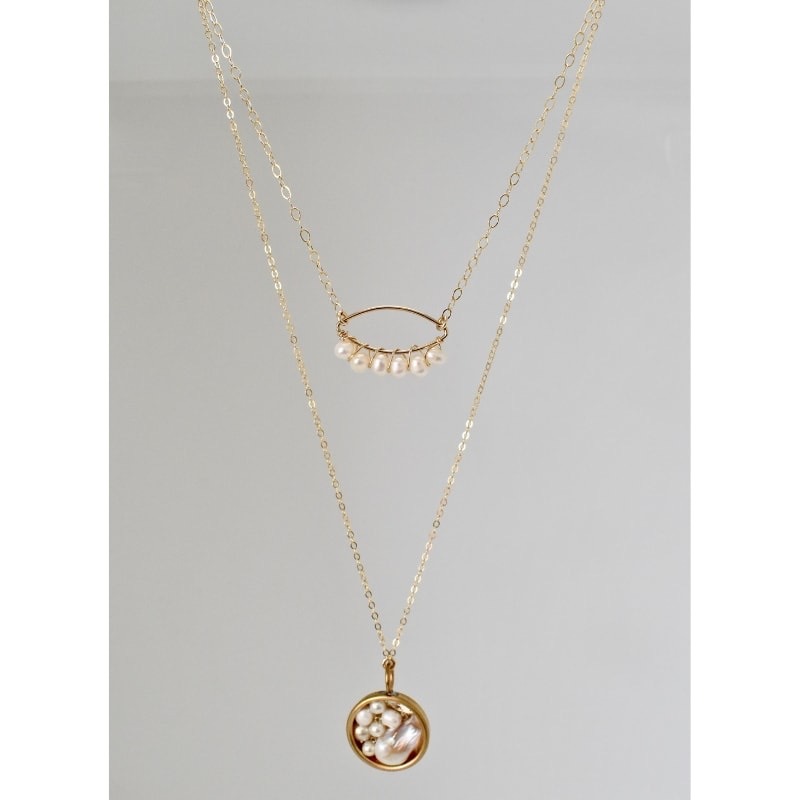 The 24k gold plated brass bezel is suspended from a 14k gold-filled chain. Order your very own necklace today. 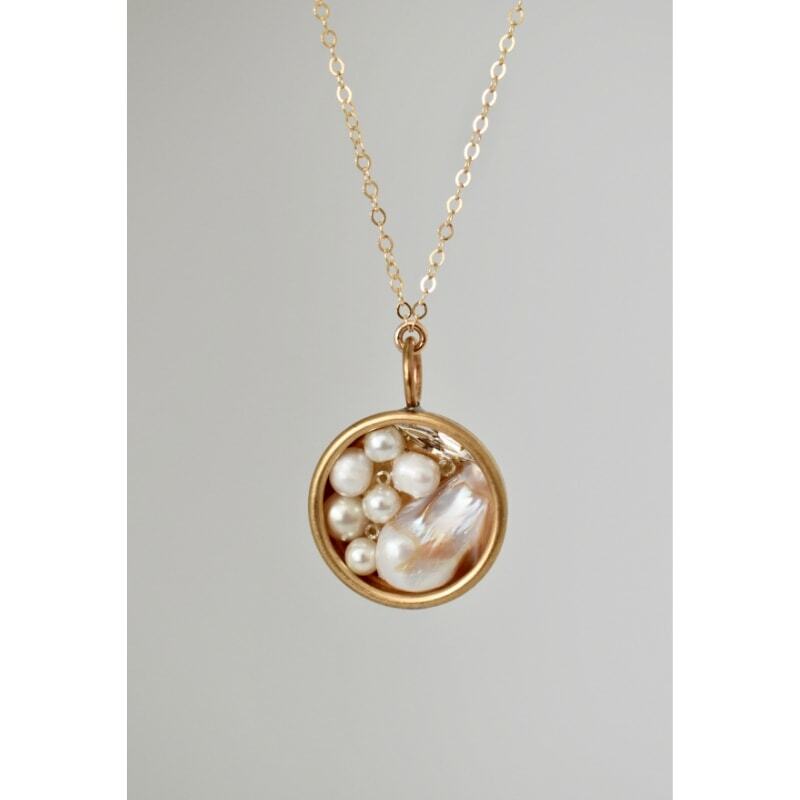 Wear this beautiful pearl necklace with your layered gold Chelsea Bond Jewelry necklaces or as a standalone piece of jewelry. Wear any of our beautiful pearl earrings and pearl bracelets to complete your signature style.